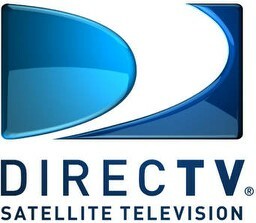 Indianapolis, Indiana – An intellectual property lawyer for DirecTV, LLC of El Segundo, California has sued in the Southern District of Indiana alleging that Jeremy Jennings and Regal Enterprises, LLC d/b/a Ron-De-Voo Inn, all of Hagerstown, Indiana illegally utilized a satellite signal that had been licensed for residential service by displaying the satellite programming in a commercial establishment. DirecTV seeks declaratory and injunctive relief as well as damages for the improper receipt, transmission and exhibition of its satellite programming signals. This intellectual property lawsuit was brought under the Cable Communications Policy Act of 1984, 47 U.S.C. §521, et seq., and 47 U.S.C. §605. The complaint alleges that Jennings, in his capacity as an owner and individual with close control over internal operating procedures of Regal Enterprises, LLC and Ron-De-Voo Inn willfully and unlawfully used a residential subscription to DirecTV in a commercial establishment. Jennings has been sued both individually and as an officer, director, shareholder, principal, manager and/or member of Regal Enterprises, LLC, which does business as Ron-De-Voo Inn. • Count Three: Civil Conversion. DirecTV asks for the following: a declaration that the defendants’ use of DirecTV was a violation of §2511 and §605, that such violations were willful and for the purpose of commercial advantage; an injunction against further violations; statutory damages under 18 U.S.C. §2511; statutory damages under 47 U.S.C. §605; punitive damages and costs, attorney’s fees and interest. Practice Tip #1: DirecTV provides services to homes based on residential rates and to commercial establishments under commercial rates. Jennings and Regal Enterprises are accused of surreptitiously gaining access to DirecTV programming without proper authorization by subscribing to DirecTV services under a residential account and then installing/moving the equipment to the business establishment and utilizing the services, licensed at a residential rate, in a commercial environment. Practice Tip #2: As part of its complaint, DirecTV claims that its goodwill and reputation have been usurped. It will be interesting to see what evidence it offers as proof that, as a result of allegedly receiving a lower monthly fee for the programming provided to the defendants – a circumstance, if true, presumably known to few other than Jennings – its goodwill or reputation have been impacted. The suit was filed by Julie Cohen Lonstein of Lonstein Law Office, P.C. The case was assigned to District Judge Tanya Walton Pratt and Magistrate Judge Denise K. LaRue in the Southern District of Indiana and assigned Case No. 1:14-cv-00952-TWP-DML.